Or, at least, large portions of it were burning when this satellite image was taken. 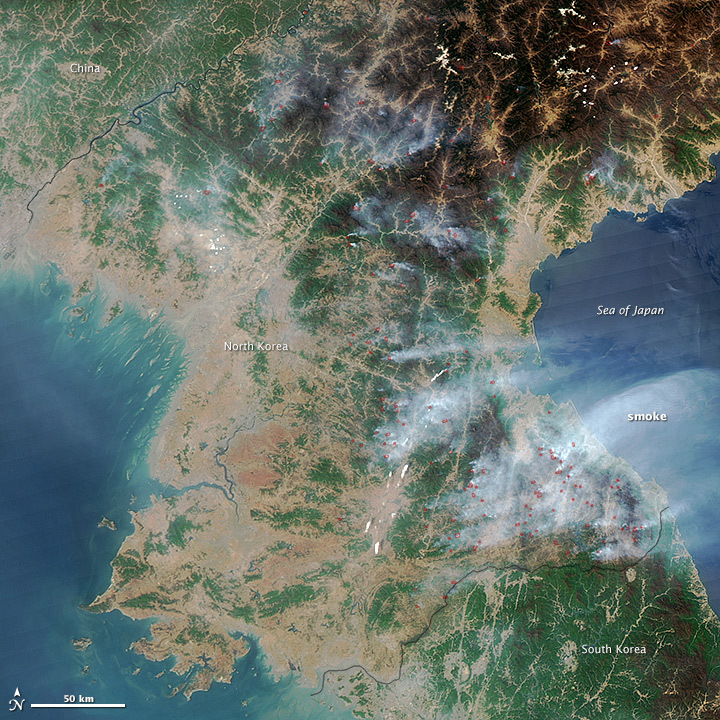 The extent of deforestation stands out in the satellite image — in stark contrast to the greenery south of the DMZ in South Korea. I primarily posted this because one of the fellows I worked with at the Defense Technology Security Administration had worked on the AQUA satellite, which took the image, when he was with NASA. Here’s the original NASA story with details on the image and the instrument used to produce it. Tagged nasa, remote sensing, satellite. Bookmark the permalink.